Establish relationships between the donor and the child/widow. 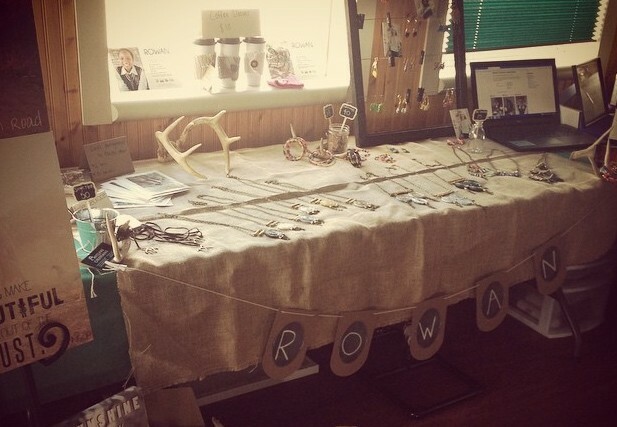 Empower someone in need toward self-reliance and graduate ROWAN sponsorship. Will I sponsor an actual child? Yes. You have the opportunity to choose and sponsor a specific orphan or widow and to communicate with them if you choose. This allows you to connect with your sponsored child/widow and to establish a friendship that will carry a special meaning for you both. How much is sponsorship? Sponsorship starts at $38 a month – that’s $1.26 a day. 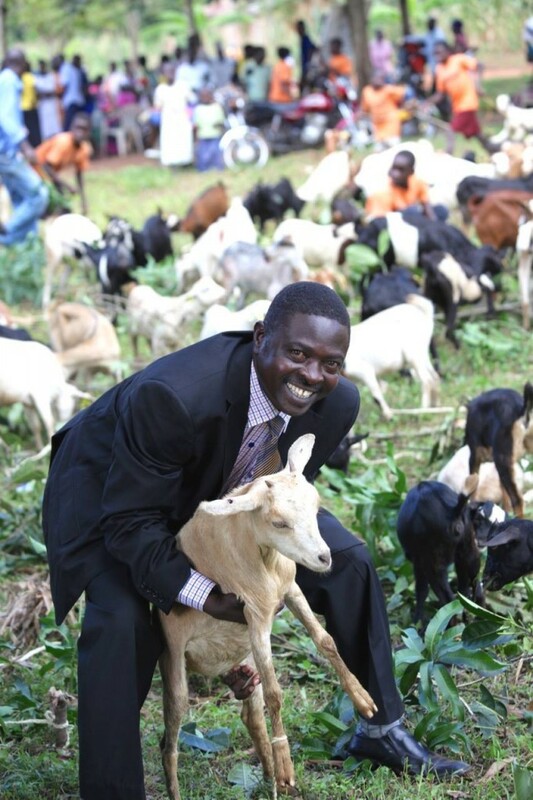 Your contribution will help change the lives of women and children in Uganda. What happens to those who aren’t sponsored yet? Our experience has taught us that the most effective way to help children is by combining your sponsorship with those of other sponsors and donors – rather than just giving it directly to your sponsored child. This ensures that children in sponsorship communities, who may never have the opportunity to have a sponsor of their own, will still benefit from your support and our programs. Best way to get those women and children sponsored is to spread the word! How can I communicate with my sponsored widow or orphan? You will be able to write letters, send emails and send photographs of your family throughout the year. Details are emailed to you once you sign up for sponsorship. Can I send a special gift to my sponsored child? Yes! You will be contacted once a year to hear the special needs of your widow/orphan and be able to give above your monthly donation. Sponsors have gifted bicycles, school supplies, even small houses! And around the holidays we encourage every sponsor to join our end of year campaign for a special Christmas gift. How long do I sponsor a widow or orphan? Sponsorship is a voluntary, ongoing contribution depending on the needs of your sponsored member. You decide how long you are able to help. Depending on age of the student or abilities of our widows is in the program, our goal is to see them become self-reliant. For students, that means helping them find their calling and equipping them with training to get a job and take care of themselves. For widows, we help them start or sustain their business, teach them how to save and take care of their own families. Are my contributions tax deductible? Yes. We will send you a tax receipt at the end of the year specifying your donations. You can also view it under your profile online anytime. Who can I contact if I have any questions? You may email us at info@loverowan.com, or call us at 970-724-7140. As a sponsor, you can also manage your account through our website. ROWAN supports the widow or orphan until they are able to sustain themselves with no cut off age. We see students finish school and begin their first jobs; we train widows on starting their own businesses, save and take care of their family. You get to be a vital part of their journey! I Love ROWAN Event — Coming Soon! Are you looking for an alternate way to celebrate Valentine’s Day this year? Do you have a heart for serving others and learning how YOU can make a difference? ROWAN has an event on February 13th in Colorado Springs that will offer these opportunities and more. Can’t make it? Shop on our Etsy page for these items and more! 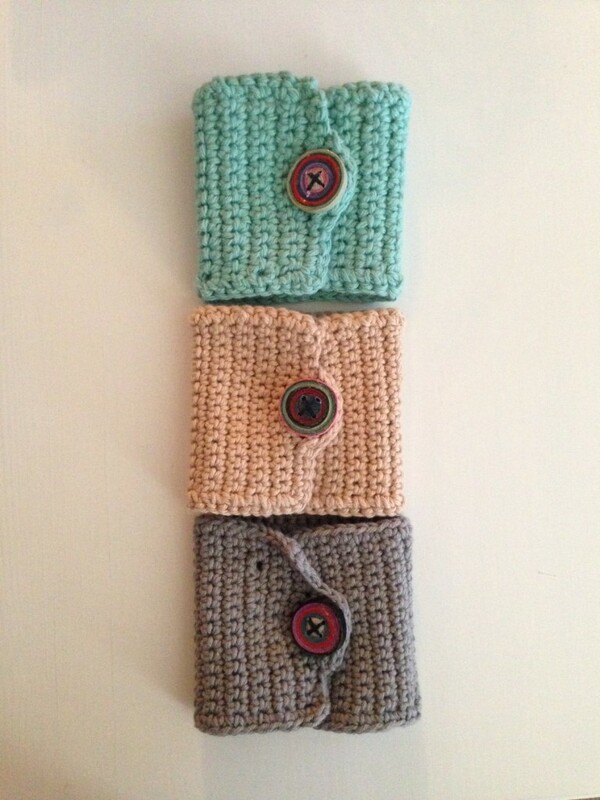 Make a Difference — vist our Etsy Shop! God is capable of so much more than we can ever ask or think. He goes ahead and paves the way and is constantly working behind the scenes in our lives. We see this on a consistent basis through answered prayers for ROWAN. Today I want to share one way that our loving heavenly Father is working on our behalf in Mawanga. Many of you have traveled to other countries where freedom of speech and expression are not necessarily a guarantee. At times political leaders, government officials and local law enforcement can be corrupt. Often that can translate into bribes being an accepted form of negotiation, or sometimes something as severe as false imprisonment or physical harm due to disagreement. Pastor Paul carries a great responsibility in his roles of leadership in the community, church and as the founder of ROWAN. In the past he has been subjected to persecution because others considered him at fault for circumstances outside his control. So, we have been praying that he will find favor. 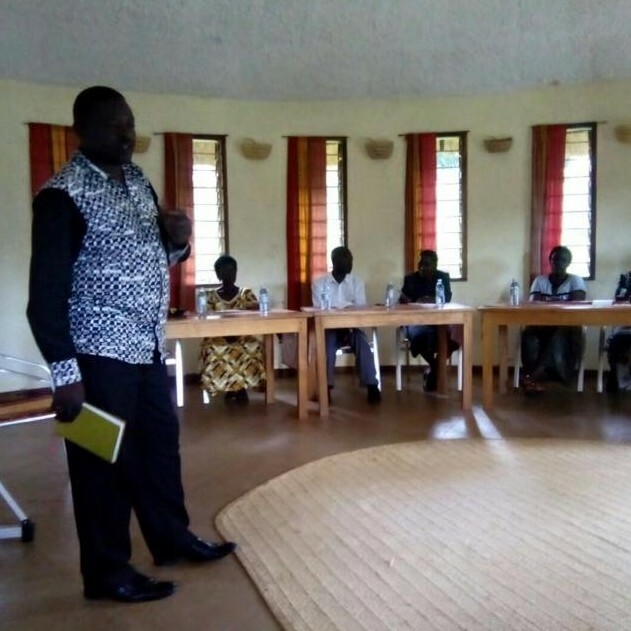 Favor in the eyes of God and favor from local officials so that we can continue to serve the orphans and widows in Mawanga and surrounding villages. We believe that God can and will bless this ministry and make it fruitful because of our faithfulness. I mention all of this to preface what I am about to share with you. I am in awe at how God works in and through various situations to bring glory to Himself. 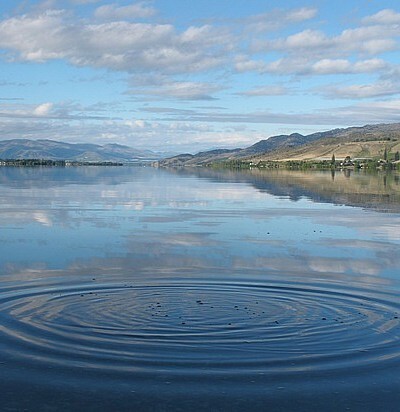 And this…it just amazes me and challenges my finite thinking. In December we held our annual Christmas party for ROWAN members and their families and we had close to a thousand people in attendance. 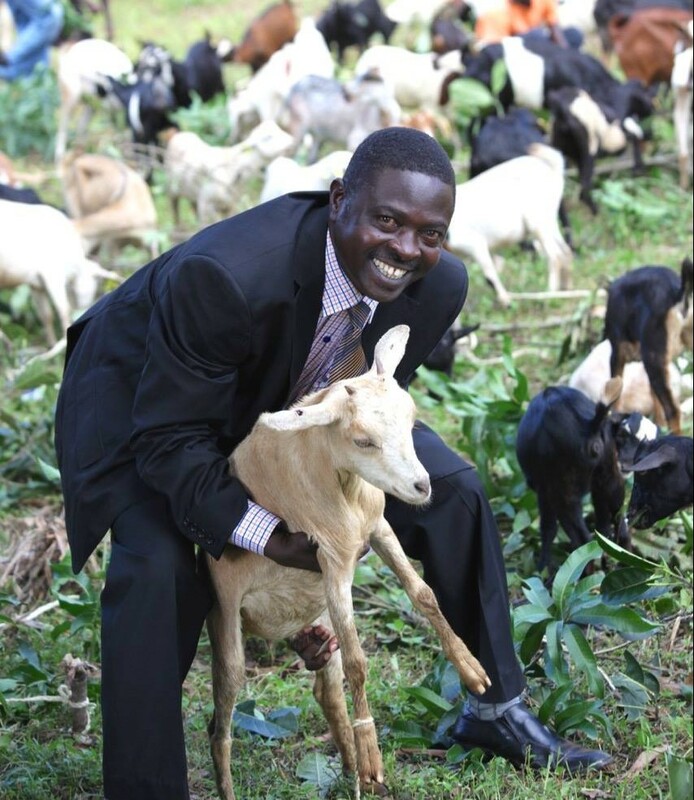 Because of generous donations and God’s provision, we were able to give over 200 goats as gifts to our widows, orphans and staff members. That kind of gift is a big deal in Uganda, and word got out what was happening in Mawanga. Some people just had to come and see for themselves. And one of those individuals was the speaker of the house of parliament for the Republic of Uganda. Now, you have to understand, Mawanga is not a thriving metropolis, but rather a small village in a very rural area in Eastern Uganda. Having a member of national government visit a place like this is huge. And the local law enforcers recognized this as fact. They were so grateful to have this honor that many of them reached out and personally thanked Pastor Paul. Not only did they express their gratitude, but they offered to be available if he ever needs anything for ROWAN. No bribes needed, no underhanded business, just God working in mighty ways to bring favor on us. Because He loves His own and always provides, protects and prepares a path for His children. Election day in Uganda is fast approaching. Feb 18th is the day when voters decide who will be their leader for the next term. Yoweri Museveni, Uganda’s current president has been in office since 1986 when the National Resistance Movement (NRM) placed him in power. Currently, there are no term limits applied to the office of president and voters seem to have very little choice in the matter. 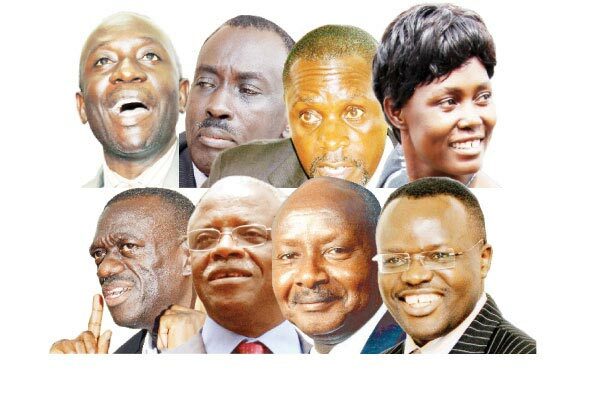 Here are a few different perspectives on the 2016 elections in Uganda. As eight presidential candidates race towards this year’s Uganda’s February 18 elections, the United States (US) has said Uganda’s electoral environment is “deteriorating”. 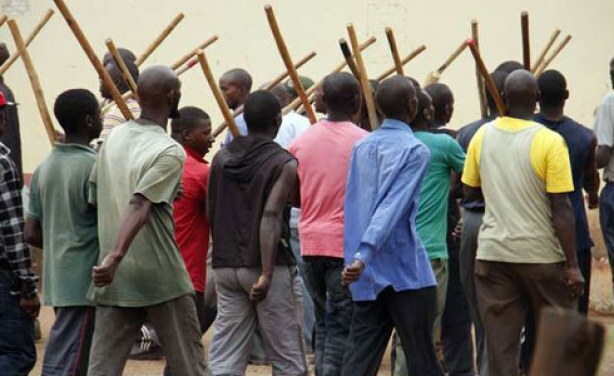 The US points to reports about the Uganda Police “using excessive force” as well as the obstruction and dispersal of the political Opposition’s campaign rallies. Through a January 15 press statement, US Department of State Bureau of Public Affairs spokesperson John Kirby also points to the intimidation and arrest of journalists. 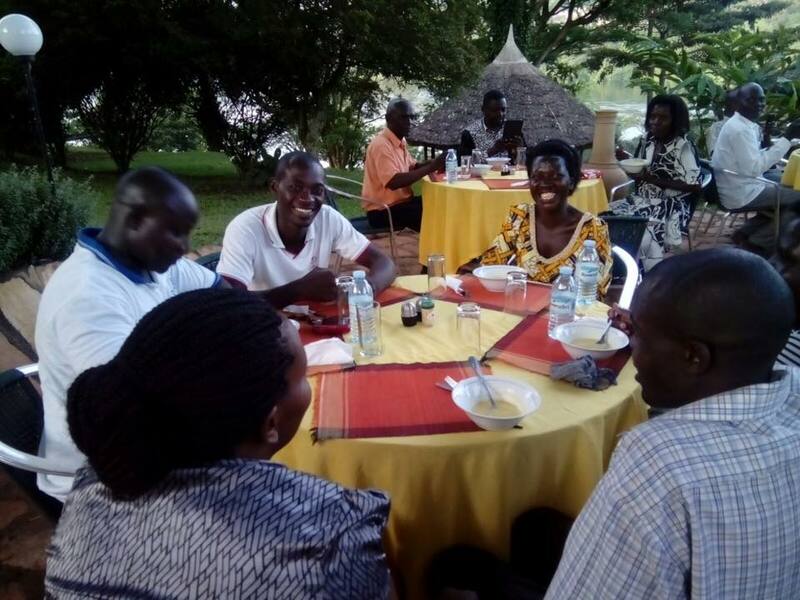 Kelsey, our co-founder was in Uganda for the last election and remembers tear gas in the streets and a general sense of political unrest in the capital, Kampala. And once again, that appears to be the case in this current election process. During this time leading up to the election, other candidates are participating in public debates that have been televised throughout the country. Interestingly enough, President Museveni failed to attend these debates, explaining that “debates were activities for school children (and) therefore I could not comprehend how prospective national leaders could embrace an activity for school children.” He also said there was no time for him to travel from Western Uganda to Kampala where the debates took place. The debate did have seven other candidates for the presidency however, including Professor Venansius Baryamureeba, Ms Maureen Kyalya, Dr. Kizza Besigye, Mr Joseph Mabirizi, Major General Benon Biraaro and Mr Amama Mbabzi. President Yoweri Museveni, who is also the presidential flag-bearer for the National Resistance Movement (NRM) party in the 2016 Presidential election has urged Ugandans to vote carefully in the forthcoming election. “Your leaders make it hard to plan for the country. Such leaders should be picked carefully. Sending someone without a plan to parliament is spoiling for yourself,” he said. Museveni was yesterday campaigning at a rally held at Kyamate Secondary School in Kyamate Ward in the Eastern Division of Ntungamo Municipality. He said that it is hard to work with leaders without plans. 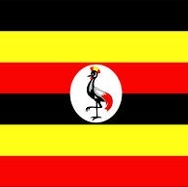 Please pray for the nation of Uganda and its people in the coming weeks especially. This could be a time of turmoil and much wisdom is needed for the leaders of this land. We know that the heart of the ruler is in the hand of God, but covet your prayers for safety and God’s protection during these difficult circumstances. Hi folks , meet our fresh ROWAN young leaders (who recently returned from) the annual scripture union camp 2015 at Gayaza High school. We are proud of them because of the positive impact they will cause in the lives of several souls for Christ. Keep praying for them. Mbuyaa Nyasaaye, ( Thank you God). Each year we choose different students to enjoy the experience of attending a Christian camp for two weeks. Many people have distinct memories of going to summer camp as a kid and remember the friendships that were formed, new skills acquired and decisions that were made. 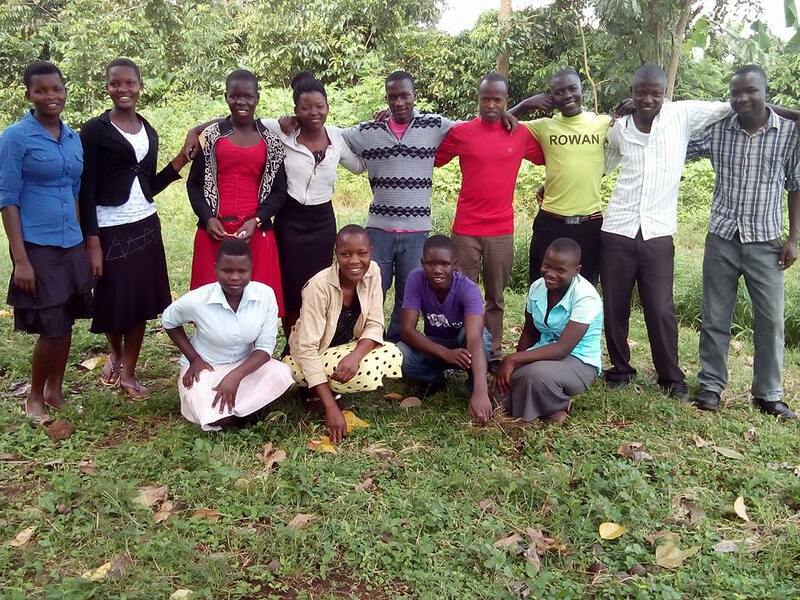 ROWAN sponsored these students to attend the youth conference in Gayaza organized by Scripture Union Uganda from November 3-8, 2015. 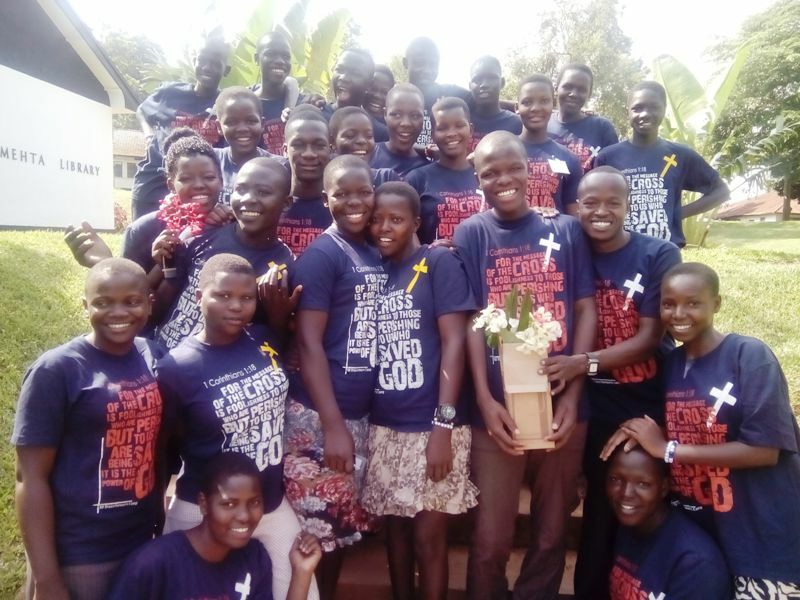 They participated in several activities throughout the week including leadership training, outreach opportunities and the chance to build stronger friendships with fellow believers. Today I want to share some personal testimonies from the campers themselves. 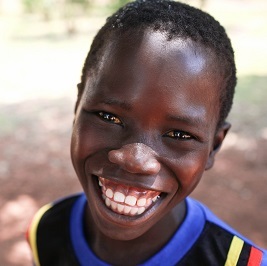 Thank you for supporting ROWAN and making this a reality for these young world-changers! Things I was involved in at Gayaza camp were games, Bible study groups, cleaning the school campus and washing utensils. This helped so much to create friendships and show the love of Christ. I also learned that the blood of Jesus is a weapon to our enemies. The camp was full of fun, making friends, Bible study, meals, physical exercise, praise & worship and the transformer series. We were called upon to pray for our nation. During the Bible study series we studied in detail the meaning and power of the blood of Jesus and the power of the Word of God. We were called upon to be transformed and be used by God to transform our families, friends, communities…and generation. Gayaza was an entertaining and educative camp which made me grow both spiritually and emotionally. I was changed from a conformer to a transformer and I promise to further change my friends and the community at large. When we went to Gayaza camp we learned a lot of things. 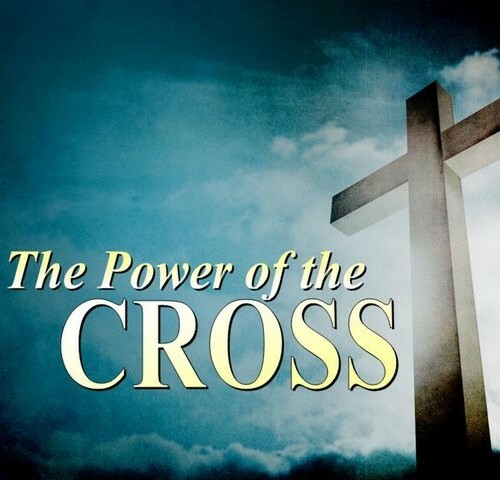 One of them is the power in the blood of Jesus. They explained that in the early times when people sinned they were sacrificing a sheep as a personal sacrifice. But when Jesus died on the cross and poured the blood, His blood acted as a universal sacrifice for all human beings. We had loads of fun. We always enjoyed special meals like breakfast and games like moving with a spoon in the mouth bearing an egg. However, spiritually I learned that I should put on the full armor of God and I learned that when Jesus shed the blood on the cross, He was receiving us in the kingdom of God. So with all that I was changed from a conformer to a transformer and I promise to further change my friends and the community. 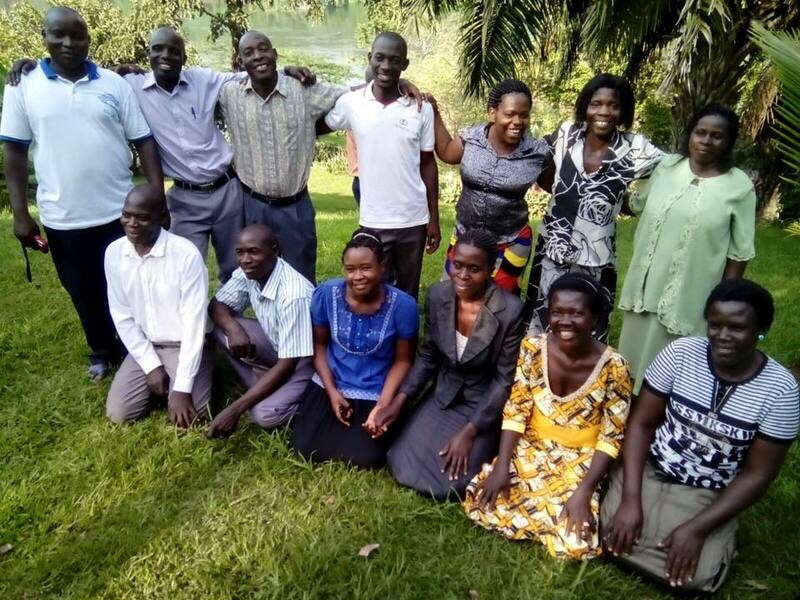 Our ROWAN staff in Uganda just returned from their annual retreat. These dedicated leaders have families and responsibilities of their own, yet choose to be involved in pouring out their lives for the people of ROWAN. The focus was on the Father’s Heart and there was time for spiritual reflection, intellectual development and creativity to be fostered. These individuals want to be unified and to give their very best in service to God. And they desire to know the heart of the Father as they minister to orphans and widows in the name of Jesus. Some of the time was spent coming up with new creative ways to run our Saturday Program days. Saturday Program is a time for the orphans to come together and learn many different skills that will empower them for the future. They hear a Bible lesson, play games, learn how to debate, sit through career counseling, work on their writing, have a special craft project, and of course are provided with a meal. But there was also a time of teaching from God’s word and a chance to reflect and be renewed for the year ahead. And finally, there was an opportunity to experience new things. 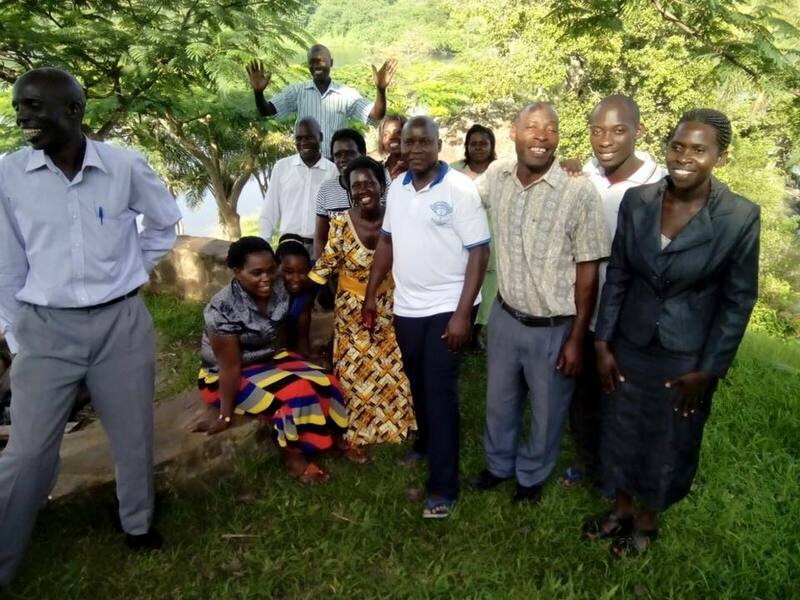 The retreat was held at a retreat center near the source of the Nile River, and many of the attendees commented on the beauty of God’s creation and the peaceful surroundings. 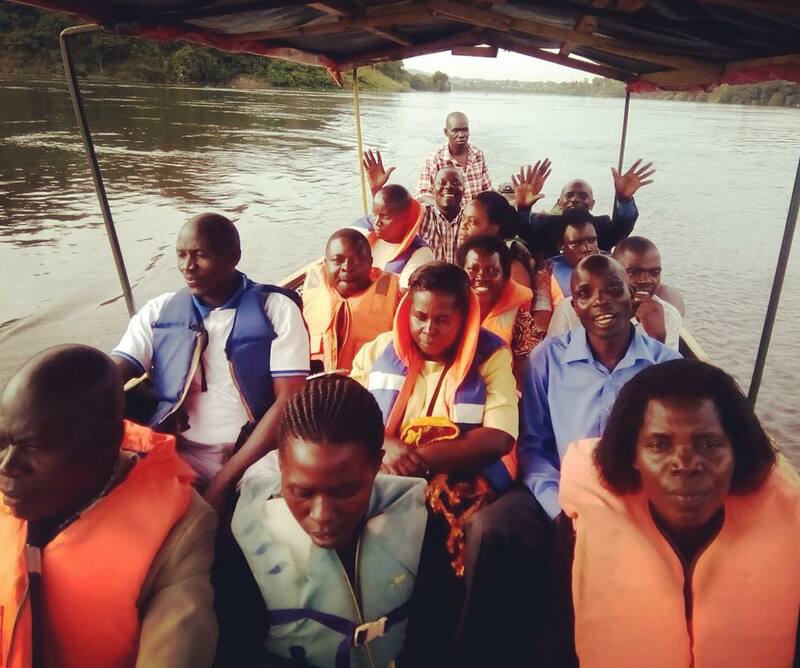 Another exciting event was going for a boat ride on the Nile River, especially since this was the first time most of our staff have been on a boat! Pray for our staff to continue to grow in unity and closer to the Lord as they serve in this coming year. Pray for strength and wisdom only God can give and for peace in the midst of difficult circumstances. They covet your prayers and so appreciate your support!